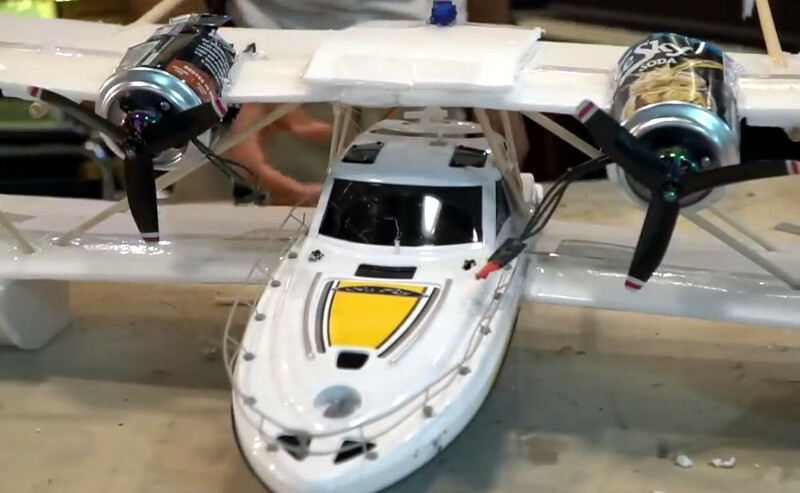 In his latest YouTube video, [Peter] takes viewers through the process of turning one of these rather lame RC boats into an impressive flying machine. His took inspiration from the Sikorsky S-38, an American amphibious aircraft introduced in 1928. The S-38 looked like a fairly traditional boat bolted to the bottom of a set of huge wings, so it’s little surprise that he patterned this build after it. The construction of the seaplane is very simple, and boils down to cutting some big wings out of foam board, using some sticks to give it some rigid framing, and putting a tail on it. The biggest problem is that the boat’s hull lacks the “steps” that a seaplane would have, so it’s not an ideal shape to lift out of the water. But with enough thrust and a big enough control surface, it all works out in the end. Which is in effect the principle by which the whole plane flies. 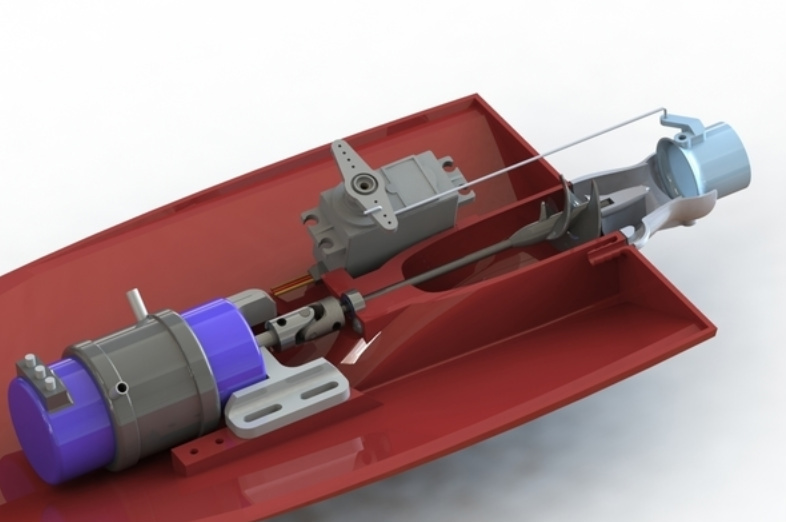 There’s a large elevator cantilevered far astern to help leverage the boat out of the water, but otherwise all other control is provided by differential thrust between the two top mounted motors. The lack of a rudder does make its handling a bit sluggish in the water, but it obviously has no problem once it’s airborne. If [Peter] and his foam board artistry seem familiar, it’s probably from the not one but two homemade aircraft he built with shockingly similar techniques to this current project.